British company Dyson is known for inventing new vacuum cleaner technology and producing other devices for the home. Now the company has entered new territory by announcing plans to launch an electric vehicle by 2020. In a recent announcement to employees, company founder James Dyson said about 400 engineers are working with other teams on the project. The company – based in Malmesbury, England - is known for creating innovative product designs started by Dyson himself. Dyson is seen by many as having revolutionized the industry by engineering products that are powerful and easy to use. For example, the company makes fans and heating devices that do not use blades like most other products on the market. Dyson has been working on vehicle technology since 1990, when its engineers invented a way to trap diesel engine pollutants. In recent years, the company has increased its research and development efforts for electric vehicles. According to Dyson, the company will invest at least $2.6 billion in the project. He said he looks forward to offering the world "a solution to the world's largest single environmental risk." In his message, Dyson said the company is now ready to use all of its technologies to produce an electric car. He said he has always believed that electrically-powered vehicles would help solve the world's pollution problems. He added that this is why the company has developed battery technologies for many years. The vehicles will not run on the same kind of lithium ion batteries currently used in electric cars. Instead, Dyson said the company chose solid-state technology in an effort to make the batteries smaller and easier to charge. 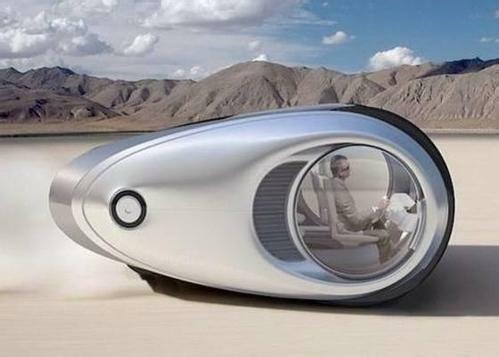 The company has not yet released specific details about the design of the vehicle. "Competition for new technology in the automotive industry is fierce and we must do everything we can to keep the specifics of our vehicle confidential," Dyson wrote in his company message. However, he did tell Britain's The Guardian newspaper the vehicle "would not be a sports car." He said the design was "all about the technology" and warned it would be an expensive vehicle to own. The power system of electric vehicle ( EV) mainly includes power battery pack, driving system and transmission. Darby drove a dinky old Fiat sports car. I spent much of my time bundled up in sweaters in an effort to keep warm. 5.British company Dyson is known for inventing new vacuum cleaner technology and producing other devices for the home. 6.He said he looks forward to offering the world "a solution to the world's largest single environmental risk." He does not glory in his past successes and looks forward to achieving more. My family looks forward to seeing you next week.